Color: Amber color with some topaz reflections. An intense and elegant expression from the oxidative ageing process, with some dry fruits characters. The aromas are reminiscent of its ancestor - Fino. Velvety, warm, round and well-structured on the palate with almond flavors. A well-balanced wine. Wonderful as an aperitif and to accompany soups and consommés. Extremely good where its distinctive taste adds unique character to a wide range of dishes. Try also with marinated meats and selfish as aperitif. 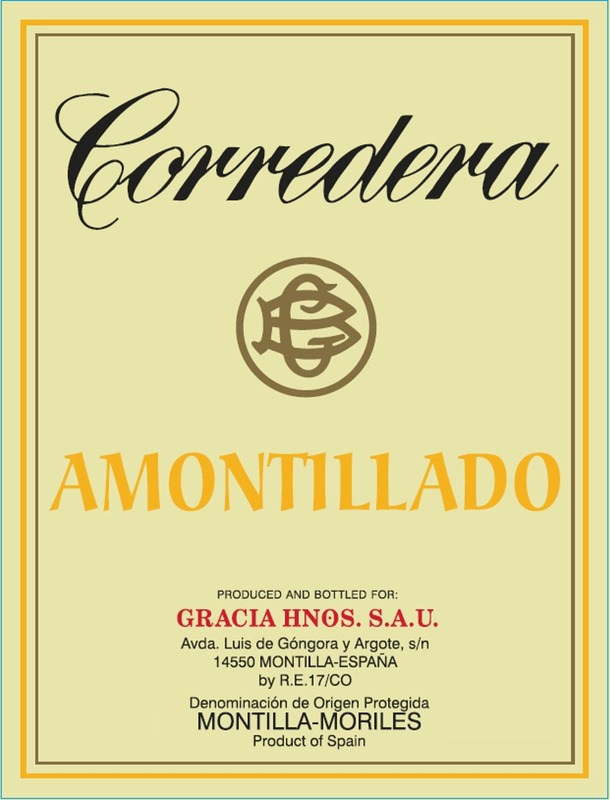 Corredera is produced at Bodegas Gracia Hermanos, located in Montilla in the Montilla-Moriles Appellation. Bodegas Gracia Hermanos was founded in 1962. It was acquired by The Perez Barquero group, one of the major and best Montilla Moriles wine producer. Amber, clean and bright mahogany. Intense bouquet with slightly oaky and nutty notes. Dry, full and warm on the palate. It is a very pleasant aperitif and can accompany meat and game dishes, or to serve with mature cheese.